If you are familiar with Fortnite, or Twitch streamers in general, you are most likely at least somewhat familiar with the streaming sensation, Ninja. He has made some seemingly impossible leaps and bounds with his community, and even was able to go as far as to stream with popular Canadian artist, Drake. Even bigger is that Ninja was recently sponsored by Redbull, and with the seemingly infinite steam on the Ninja train , the streamer has taken his setup on the road, and will be streaming Fortnite with popular musical artists through the entire weekend. 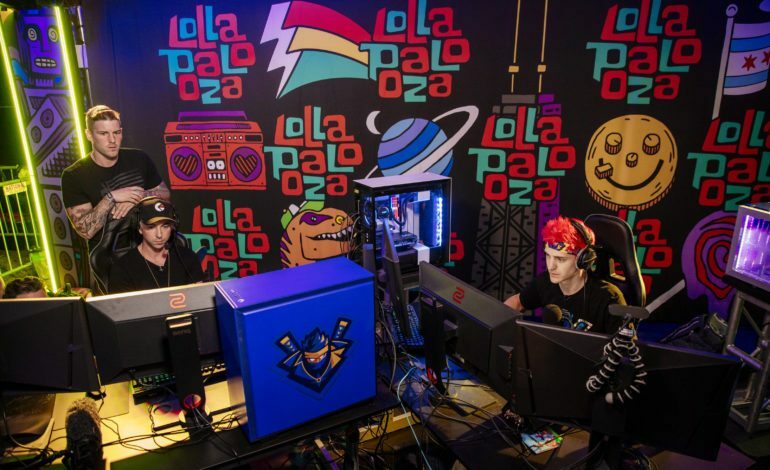 Over in Chicago, Ninja is currently playing Fortnite smack dab in the middle of one of the hottest music festivals of the year, Lollapalooza. With this, the massive streamer will have a chance to interact and play with other popular musical artists, such as All Time Low, Logic, Dillon Francis, Quin XCII, Smoko Ono and Tank and the Bangas. Aside from Lollapalooza, Ninja has done some other exciting, fun events in parts of the country. These include challenging 100 Fortnite players to an all-night tournament at the top of Willis Tower in Chicago, and even battling it out with athletes from the New York Knicks and the Green Bay Packers at the ESPY Awards in Los Angeles. Ninja is no stranger to big events like this, but we are left wondering where Ninja will end up next with his streams.